These protein packed, vegan, egg-free & dairy-free curry chickpea burger patties will please everyone in the family. Bring the leftovers to work or pack into your child's school lunch box! If planning to bake these patties, preheat the oven to 375 degrees F (190 degrees C). Make the flax egg: simply mix 1 tablespoon of ground flaxseed meal with 3 tablespoons of water in a container. Let sit for 5-10 minutes then whisk it quickly for 2-3 minutes before using. While the chopped onions are being sauteed, and the flax egg is being prepared, drain and rinse the canned chickpeas well. 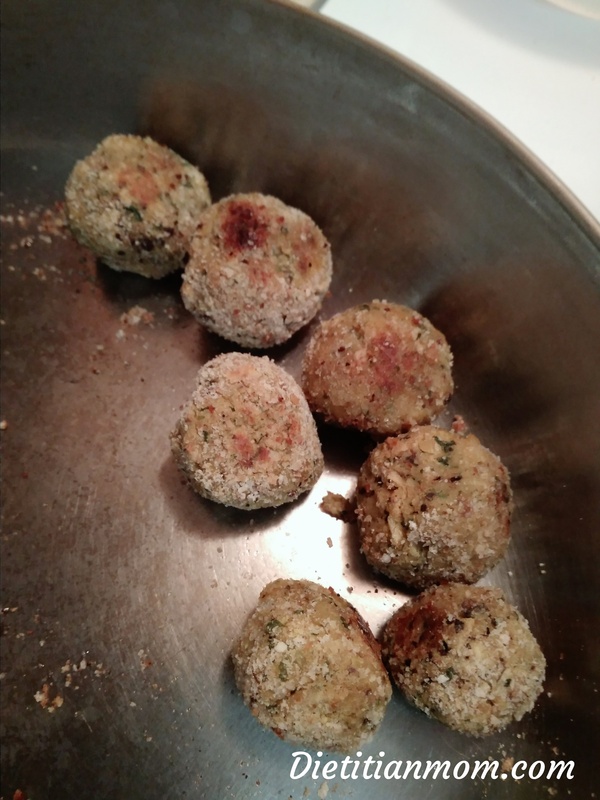 Place the drained and rinsed chickpeas, ¼ cup panko/regular bread crumbs, caramelized onions (or raw chopped onions and olive oil), flax egg, parsley, curry powder, chopped garlic or garlic powder, lemon juice, onion and black pepper in a food processor or blender. Pulse a few times, stopping to scrap down the sides of the food processor, until the mixture thickens and can be molded. Don't worry if the mixture is looking a little dry - it will still mold together nicely. Divide and roll the mixture up into the size of ping pong balls and place these on a plate. Press into patties and coat lightly with bread crumbs. Heat a small amount of olive oil in a skillet over medium heat. Pan-fry the patties until crispy, about 3 minutes on each side. Form the mixture into patties (about 2.5 inches in diameter each), then dip each patty into a shallow bowl containing bread crumbs. Turn the patty to coat both sides with bread crumbs then and place the coated patties on a baking sheet. Bake in the oven for 12-15 minutes on each side (flip the patties over once). Remove from the oven and let sit on the baking sheet for about 10 minutes before enjoying. If you are using home cooked chickpeas, the amount needed would be about 13 ounces (or 385 grams) in weight. Salt may not need to be added if the canned beans used already have salt as an ingredient. If you are planning to serve this to a child under 1 year of age, make some mini patties first before adding salt to the rest of the mixture. Letting the patties sit out to cool down after baking also helps the patties to harden. Make these patties into smaller sizes if desired for little fingers to enjoy. You can roll these into cute petite falafel balls! 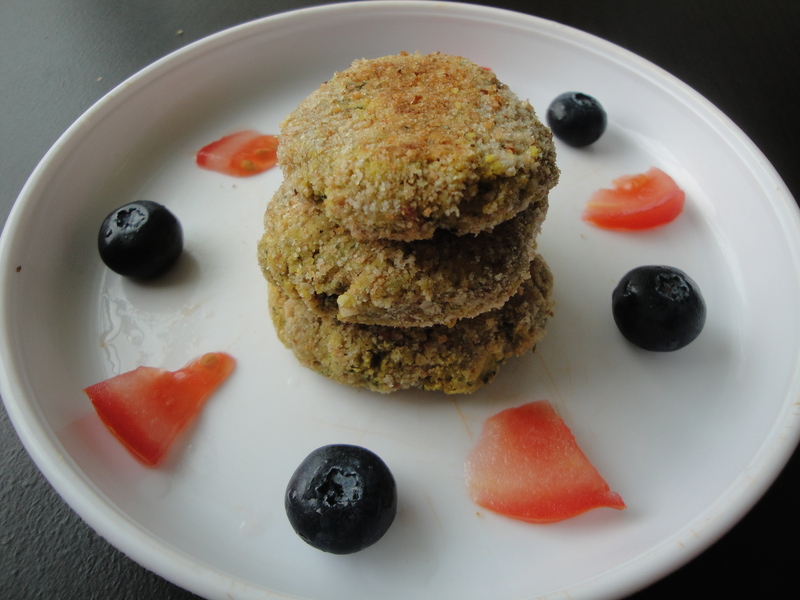 Go ahead!I’m sure you can, and that will give an added touch of flavor to these curry chickpea patties!